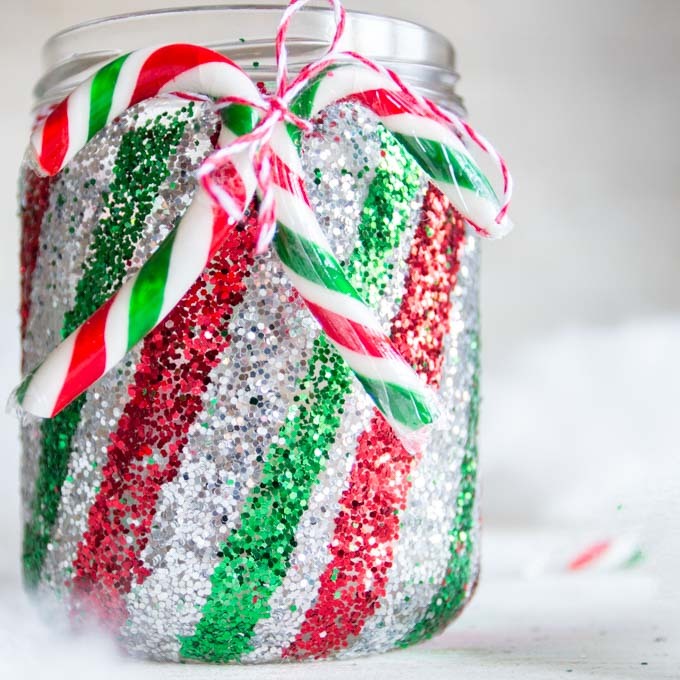 Add a little sparkle to your holiday decorating with these pretty and colourful glittering candy cane Christmas decorations! 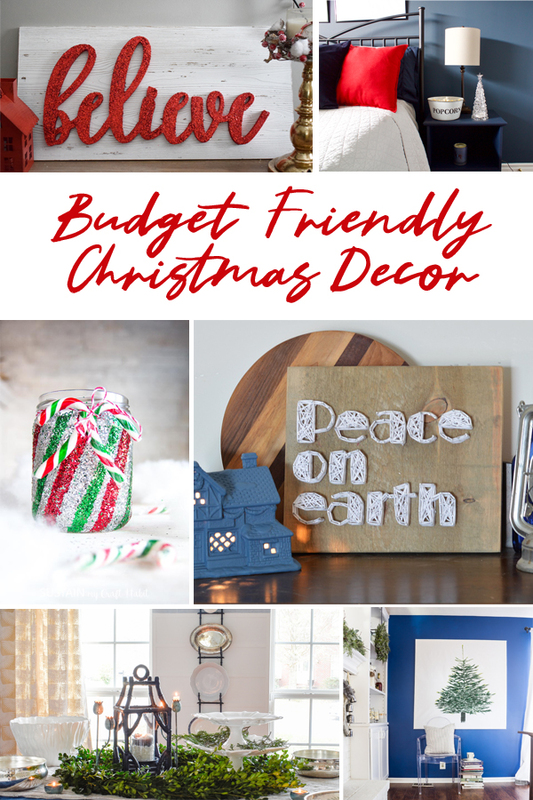 It’s so easy to spend money this time of year, especially on all the beautiful decor you can find in stores. However, it’s not needed! 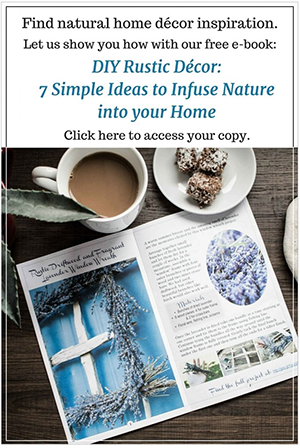 Today we’re joining a few blogging friends to share with you some budget-friendly yet beautiful holiday decorating ideas to make. Just scroll down to the bottom of this post for all of the ideas. Our contribution to this collaboration are these festive and fun candy cane Christmas decorations. 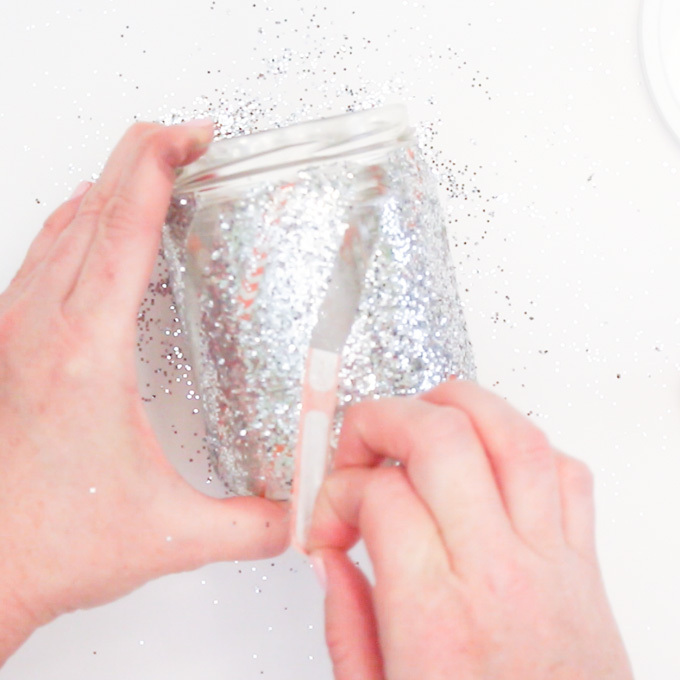 With just a little glitter, glue and tape we upcycled a salsa jar into sparkly candle holders. Or stuff them with treats and gift them for your Secret Santa, neighbours and friends. 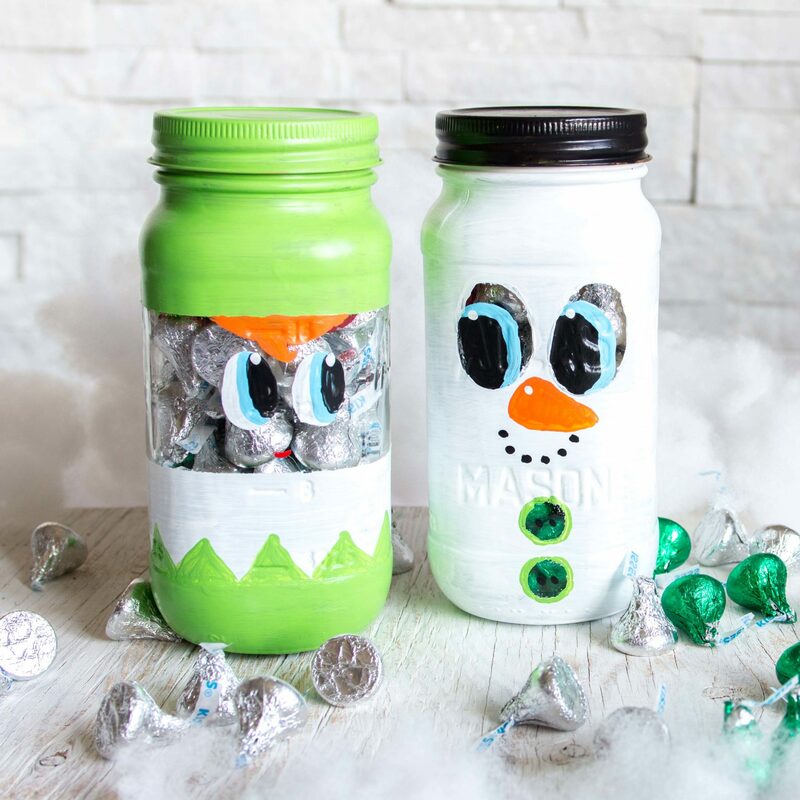 They’d go along perfect with this simple snowman mason jar gift idea we made last year, or the decorative gift jars we shared in our recent video on YouTube. 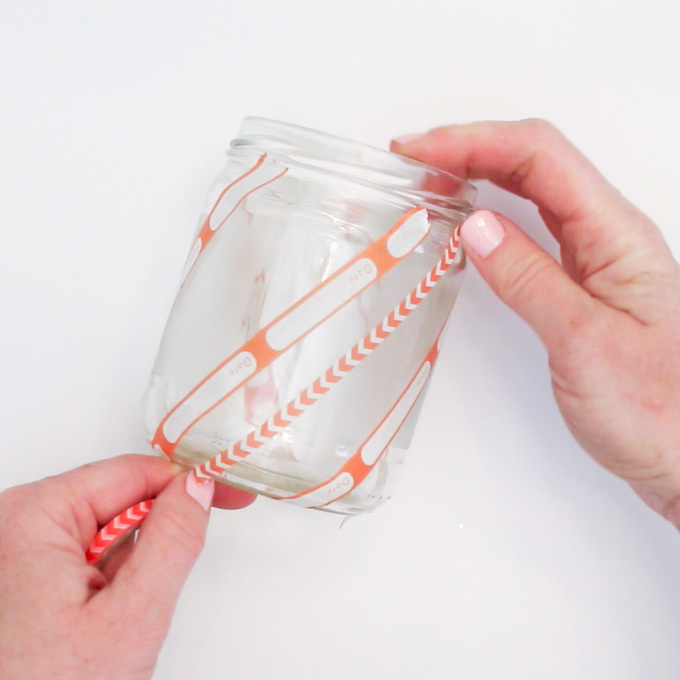 Thoroughly wash the glass jar and remove any labels. 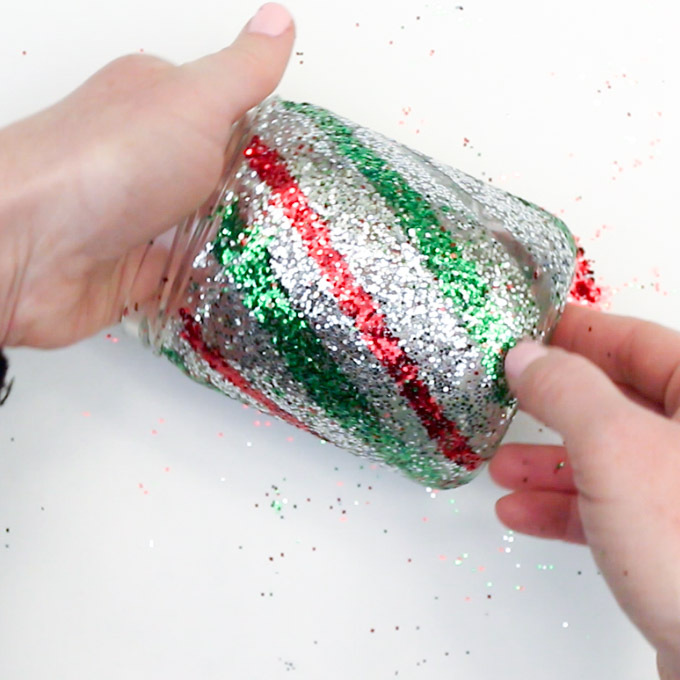 Place alternating thin and thick strips of tape, slightly diagonally down the jar. Leave wider sections uncovered (for the silver glitter). 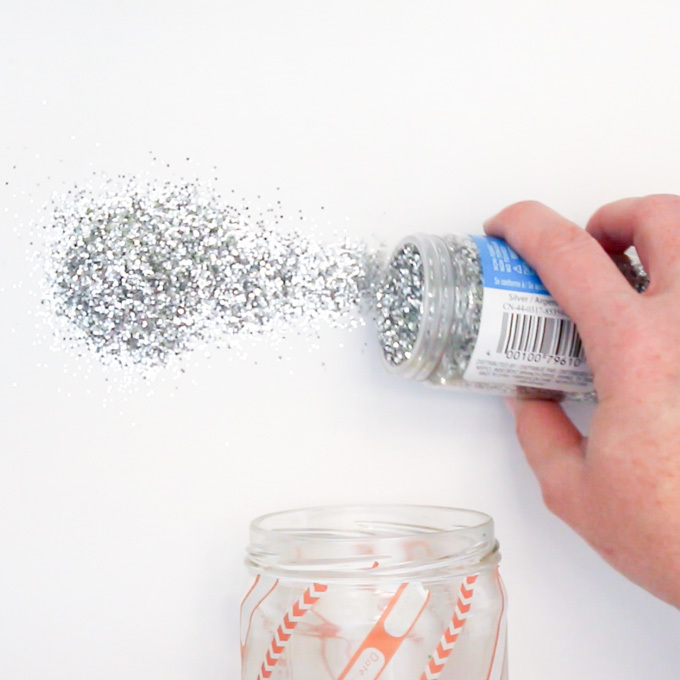 Pour out a bunch of silver glitter on your working surface. 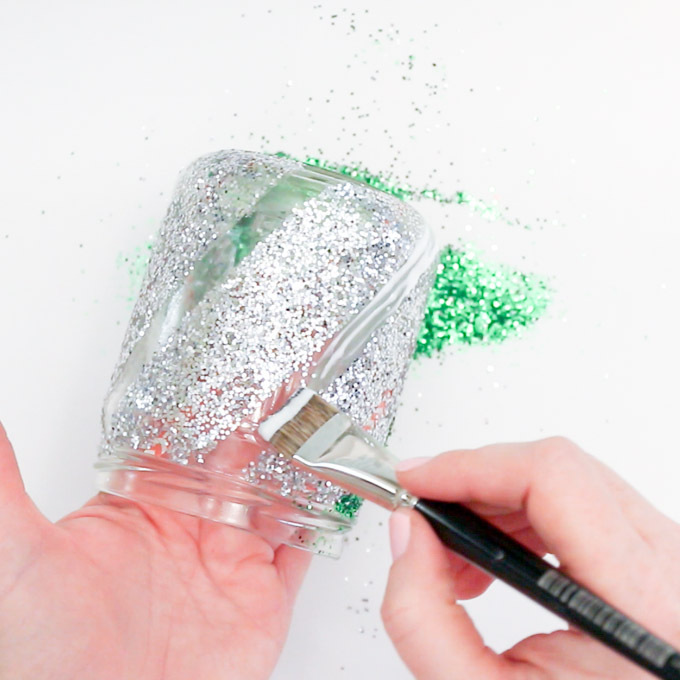 (Tip: use a clean piece of paper which you can later lift up and pour the remaining glitter back into the jar with). Working in small sections, paint Mod Podge onto the untaped areas of the Mason jar luminary. 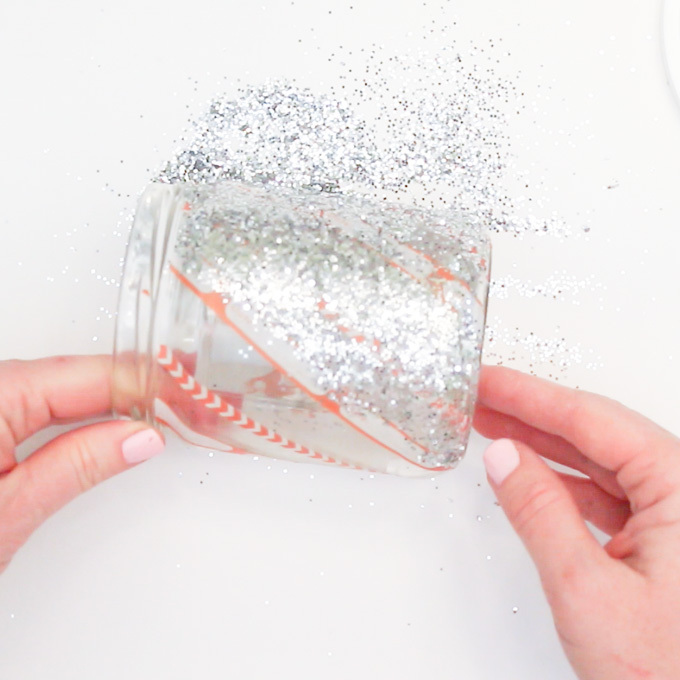 Before it dries, roll the glued section of the glass jar over the silver glitter until it is covered. Repeat this all the way around the jar and let dry before moving on to the next step. 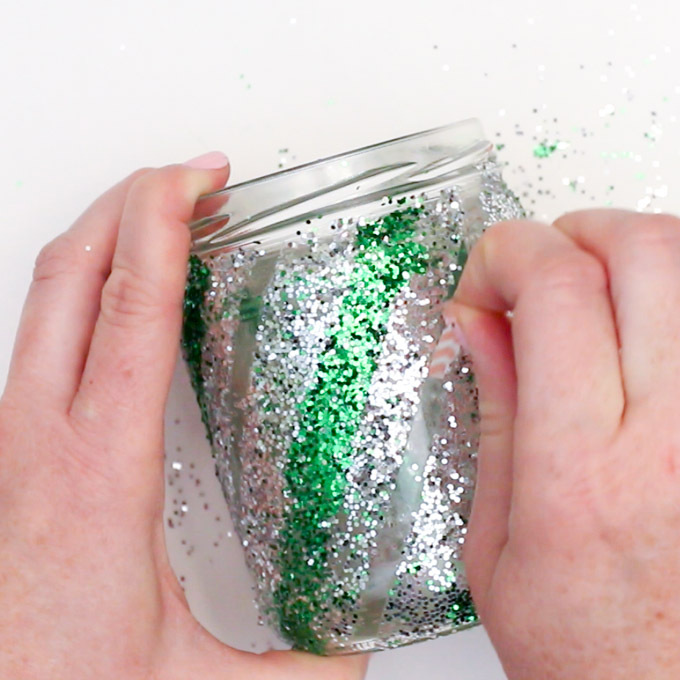 Gently remove just the thicker pieces of tape from the jar. 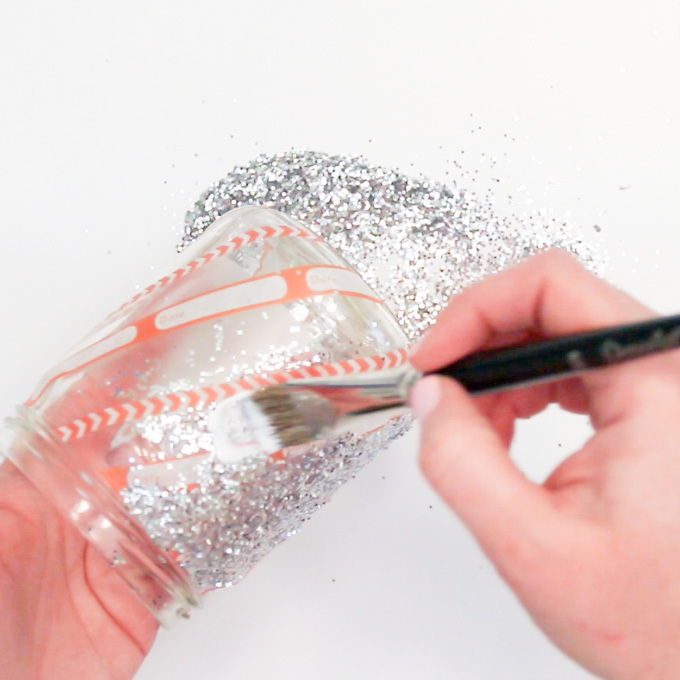 Clean up all the silver glitter. 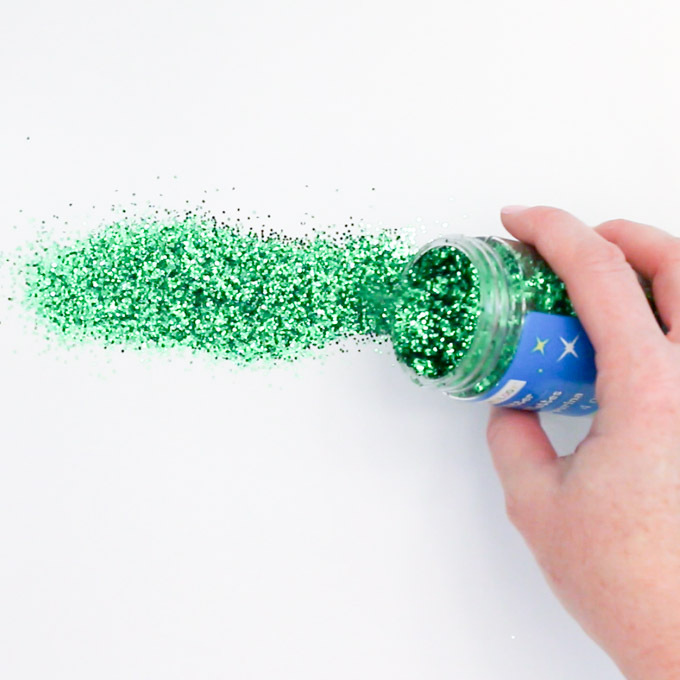 Pour out a bunch of green glitter onto your cleaned working surface. 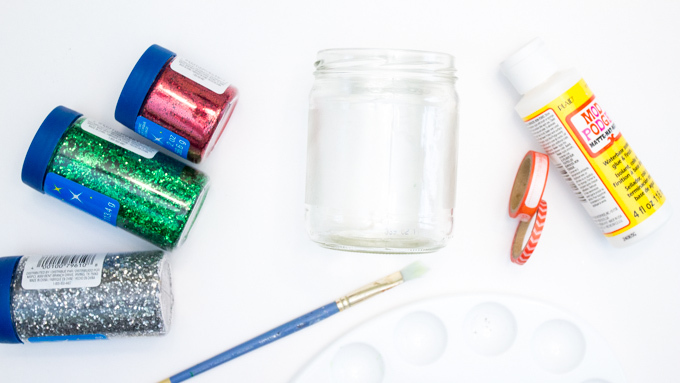 With a small brush, add Mod Podge to the uncovered glass, working in small sections. 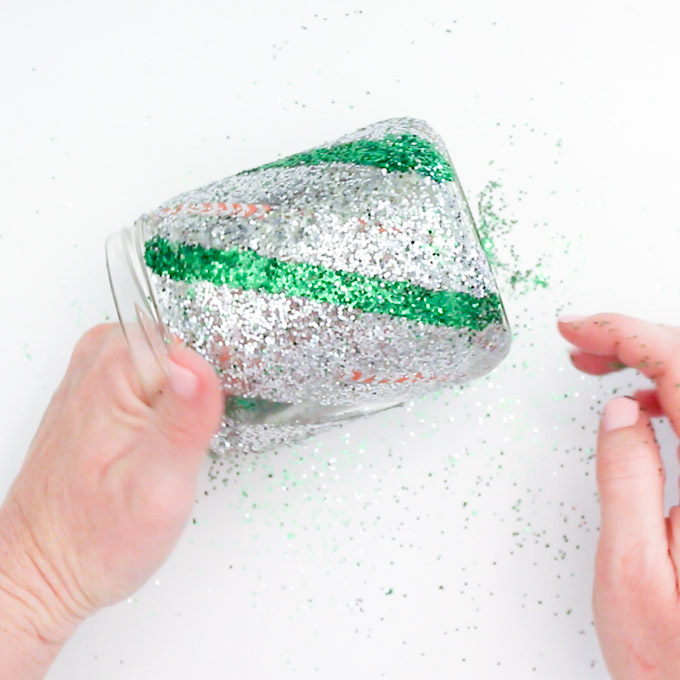 Roll the jar in the green glitter. Repeat this all the way around the jar and let dry before moving on to the next step. 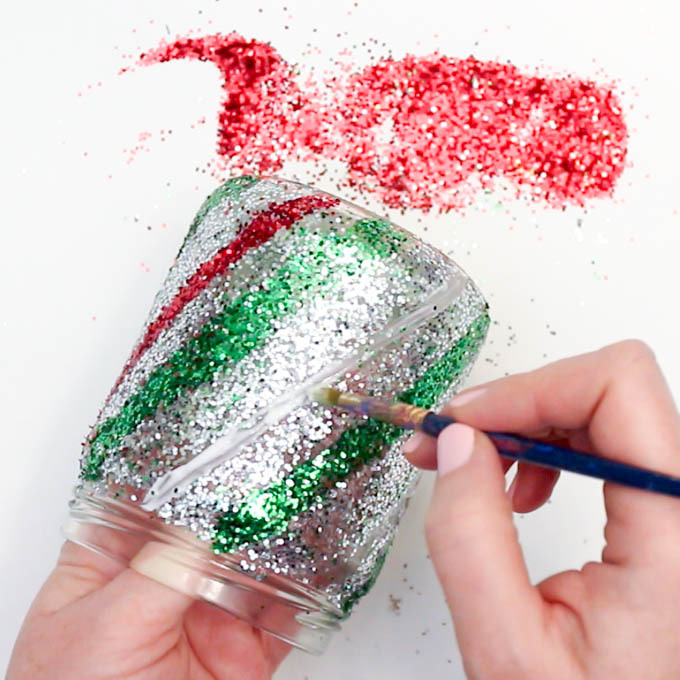 Repeat the steps above for the red glitter. And you’re all done! 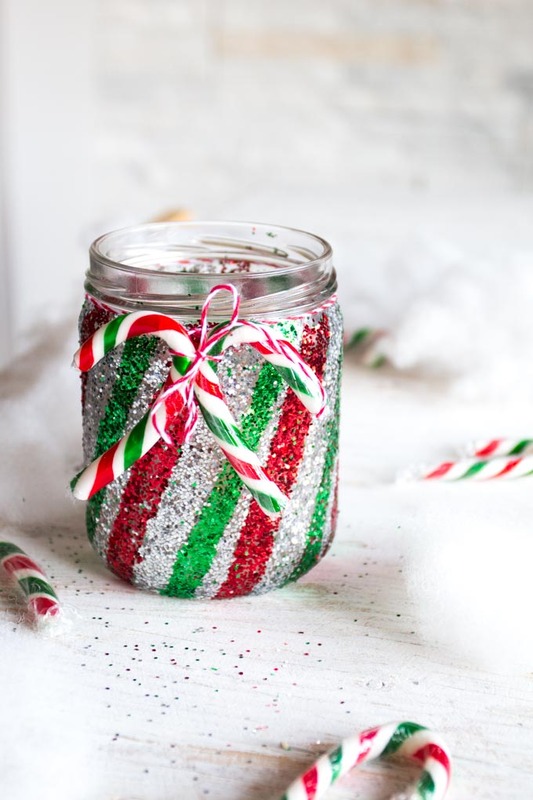 You can further embellish your Candy Cane Mason Jar luminary by tying a couple of small candy canes around the neck of the jar with red and white baker’s twine. Use a candle (a peppermint scented one would be amazing!) 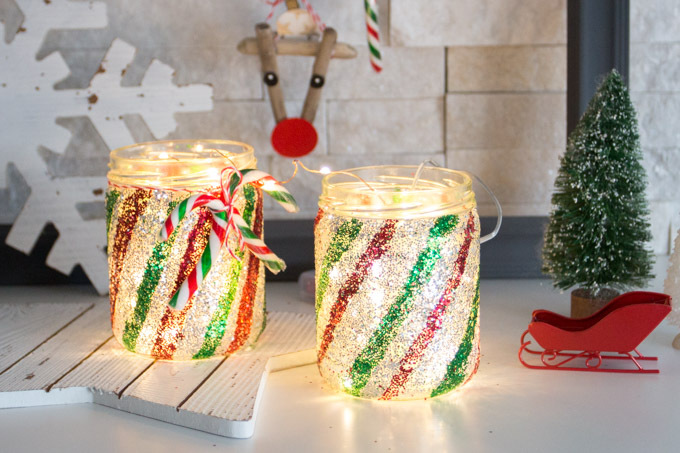 or battery-operated twinkle lights to light up your jar. Or simply use it to hold candy for the holidays (make sure that the candy are wrapped so that they don’t get glitter on them). We love making our own decorations each year. 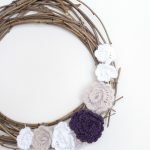 Explore all of the festive ideas in the Christmas crafts section on our website. 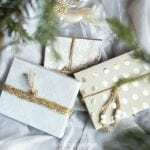 Moreover, visit these budget-friendly Christmas decor ideas shared by some of our favourite fellow bloggers. 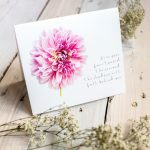 This project originally appeared on Crafts By Amanda. 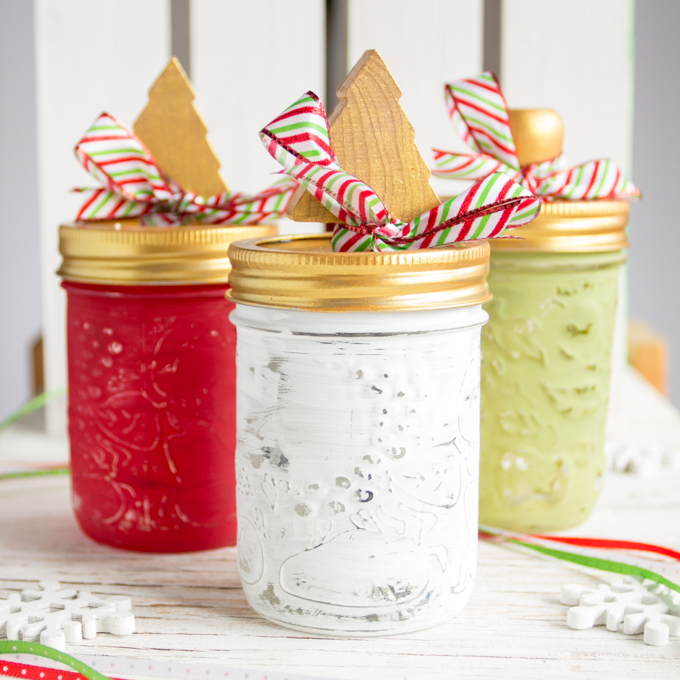 These jars are so cute! They’d be adorable teacher gifts if filled with candy or tea! !